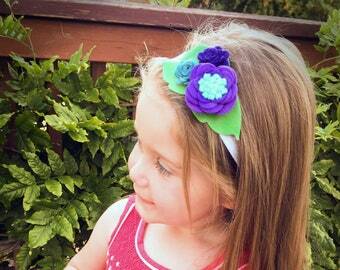 This set of 2 sweet, soft little headbands are perfect hair accessories as Big/Little Sister or Mom/Daughter photo session. 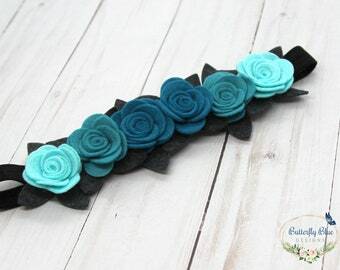 They also make a great everyday hair accessory. 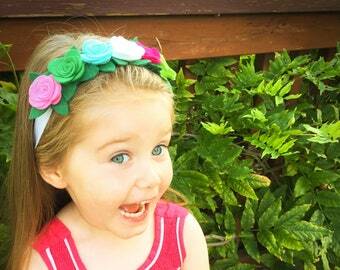 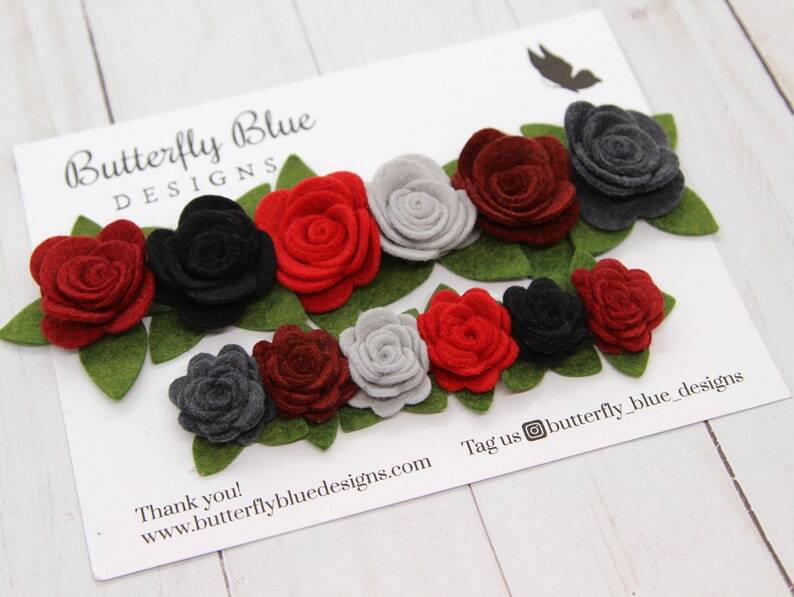 Each headband is made with 6 wool blend felt flower roses in shades of Red and Black accented with Moss Green leaves.